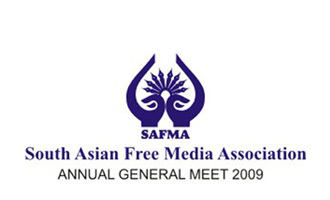 The Financial and Entertainment Capital of India, Mumbai hosted SAFMA (South Asia Free Media Association) Annual General Meet on Saturday December 5, 2009 in association with MET. Mr. Ashok Chavan, Honorable Chief Minister of Maharashtra inaugurated the meet in the presence of Mr. Kumar Ketkar, Editor – Loksatta and Co-ordinator – SAFMA, Mumbai, Imtiaz Alam, Secretary General – SAFMA. The event united the best talents in Education, Media, IT and Entertainment from India and Pakistan.